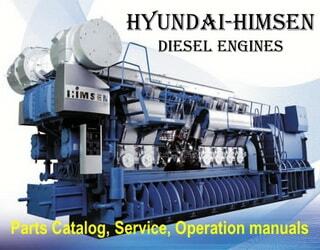 HYUNDAI-HiMSEN's own design Four-Stroke Hi-Touch Medium Speed Diesel Engines: H17/28, H21/32, H25/33. 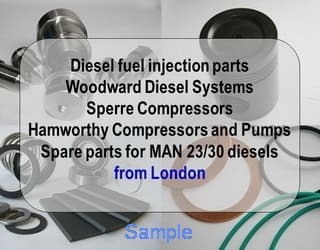 These are modern engines with good performance. A component life time are estimated by wear limit. 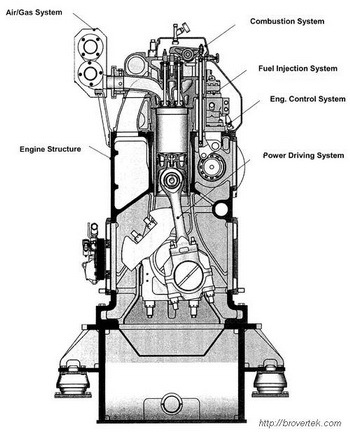 For instance H21/32 engine's cylinder liner limit wear is 0.4 mm (Nominal size D=210+0,046 mm). Flame ring has wear limit 0,2 mm (Nominal size wall thickness 4,95mm - wear limit 4,75mm = 0,2mm). 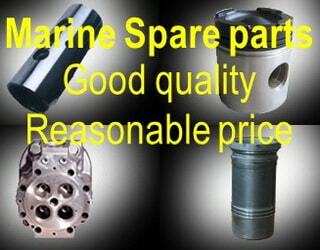 The Big-end (connecting rod) bearing must be replaced new one if the shell thickness is 4,925 mm or less. Control conditions all components. Strictly follow the HHI instructions and service letters. 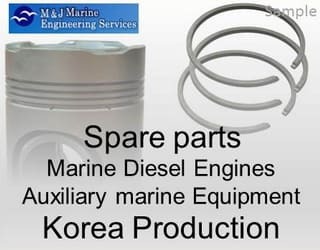 Please point in your inquiry NAME of the Vessel or NAME of stationary application and ENGINE SERIAL NUMBER. It is precondition for assignment of quotas. 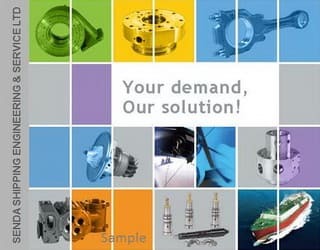 Ask us and our partners all wear items like Journal, Big-end and Small-end Bearing, Flame ring, all type O-rings, Exhaust Valve seat, Inlet Valve seat, Conical clamping piece, Rotocap, Valve spring, Exhaust valve spindle, Inlet valve spindle, Valve guides, Compression and Oil Piston rings, Sealing rings, Fuel Injection Equipment, Bearing for lube oil pump, Lubricating oil filter cartridge, Gaskets etc. We'll check our possibilities and inform you.